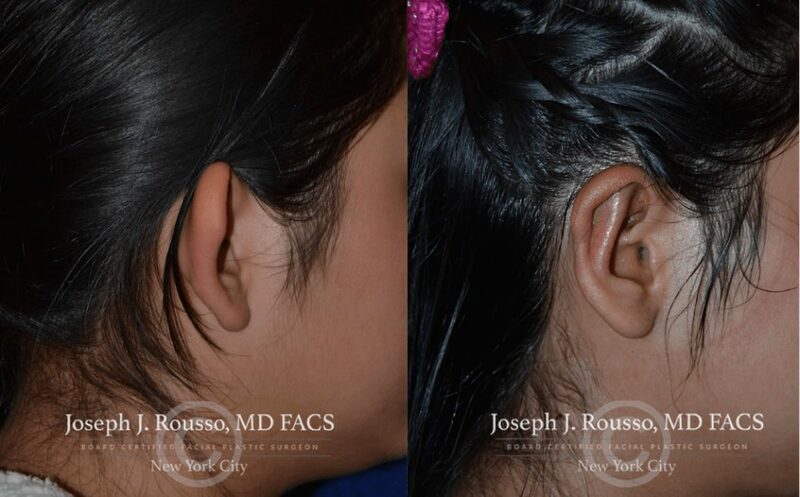 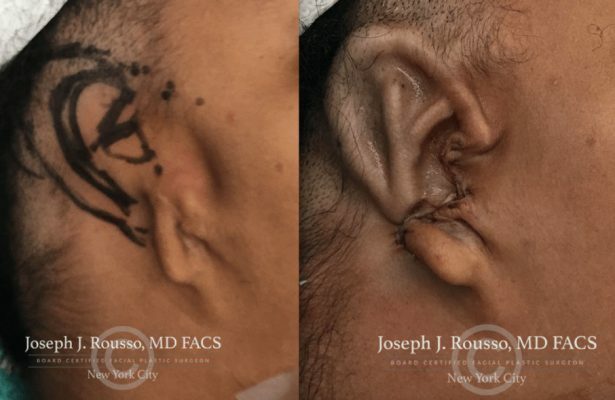 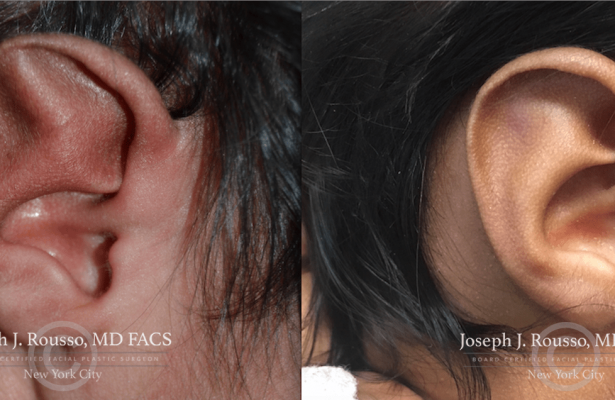 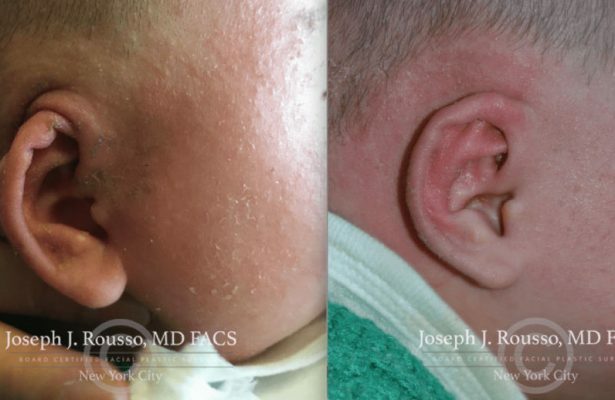 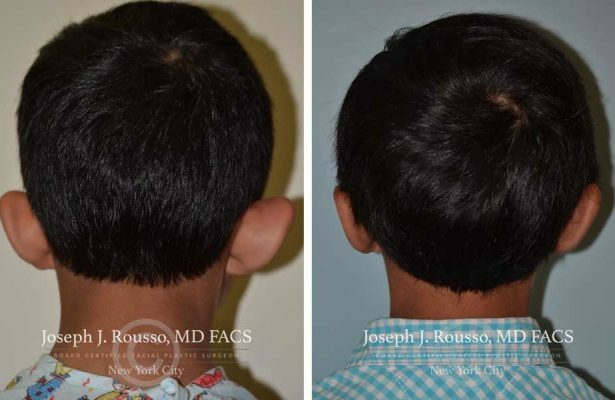 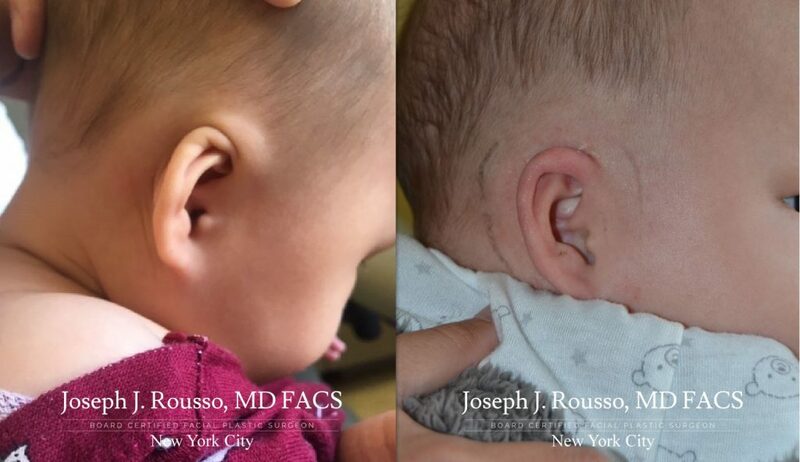 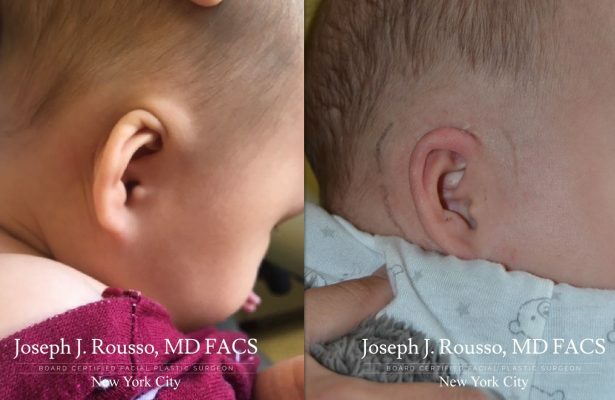 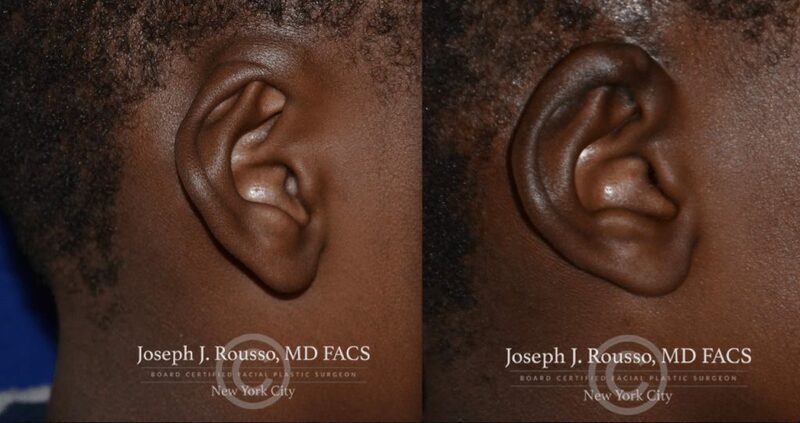 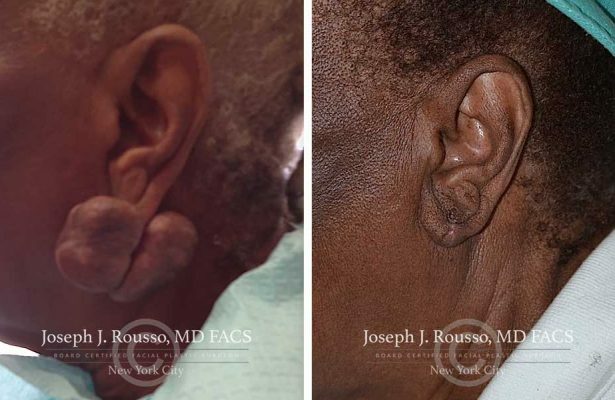 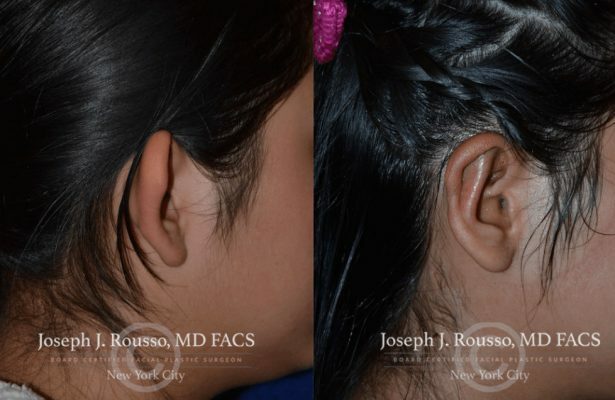 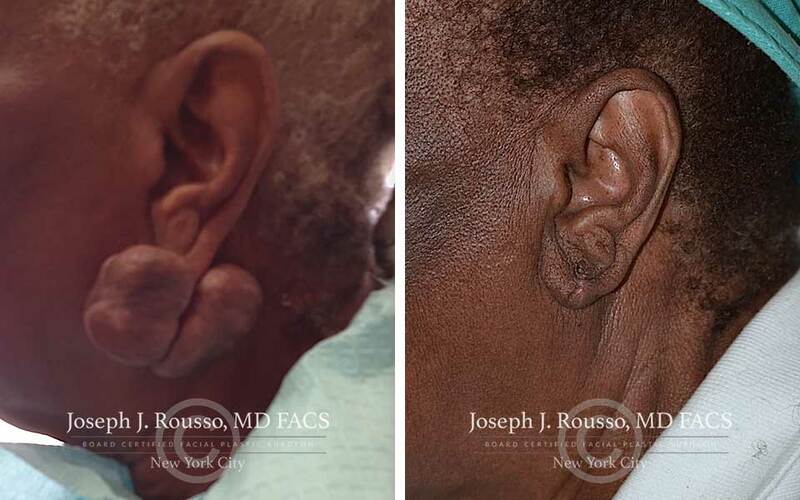 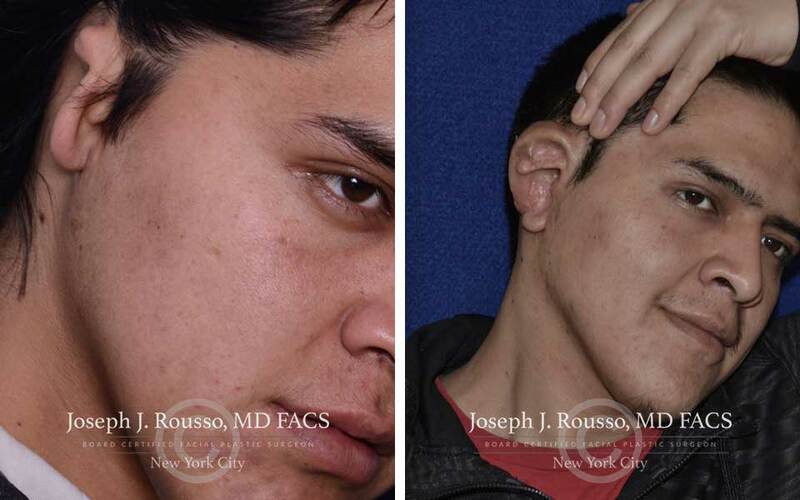 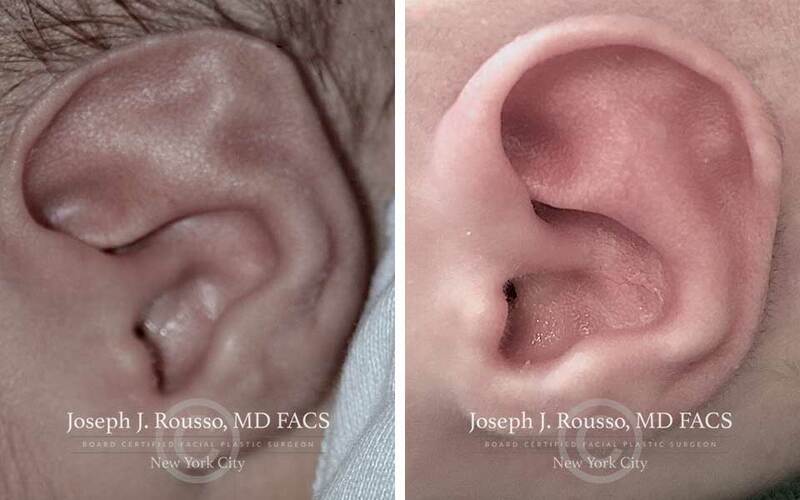 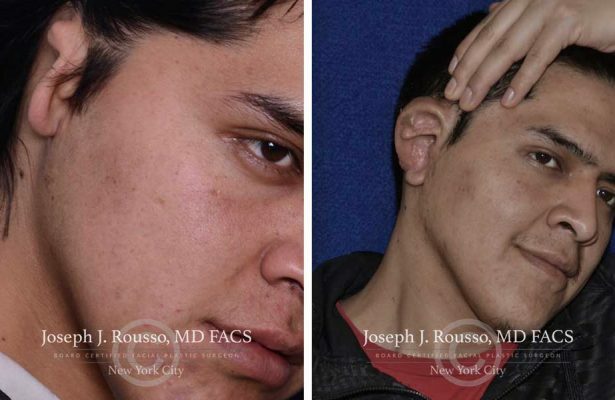 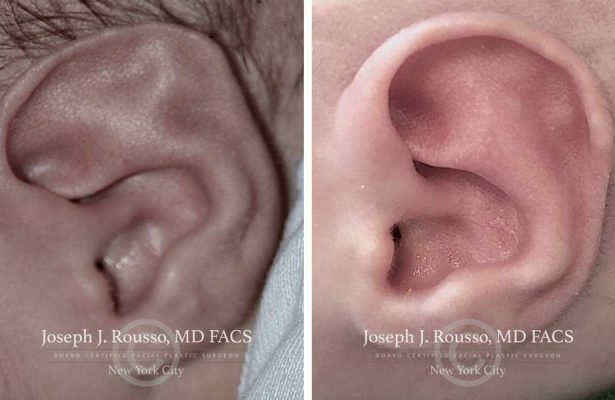 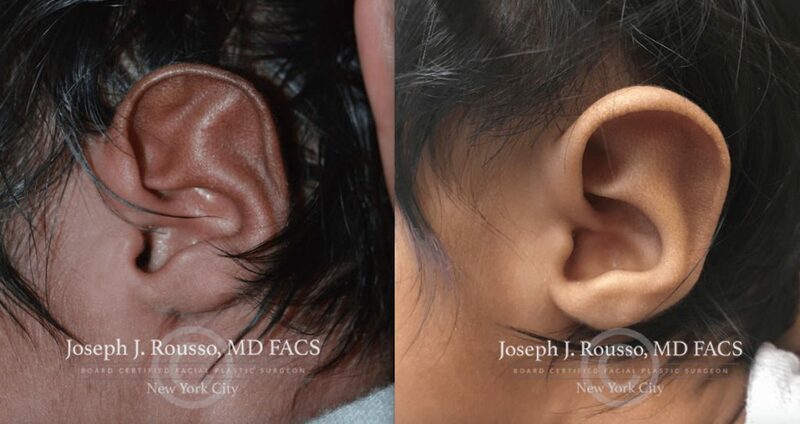 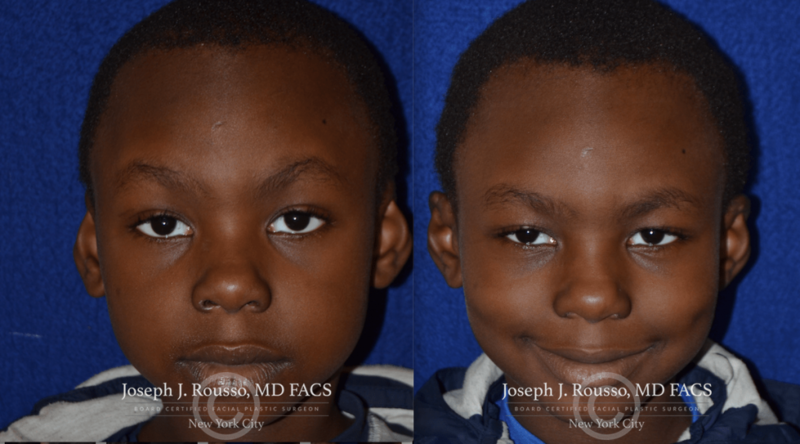 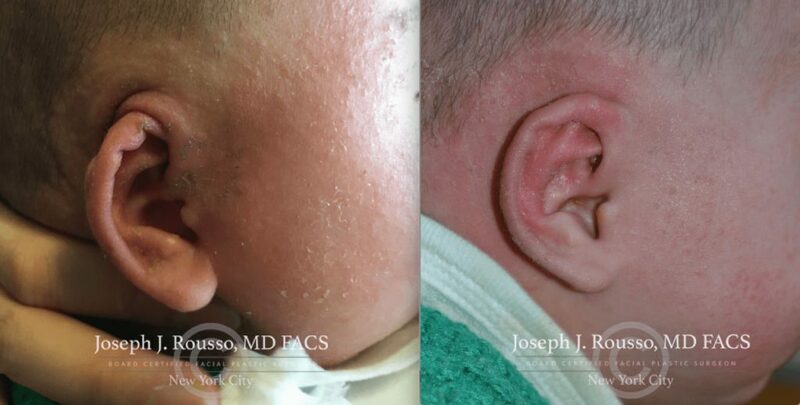 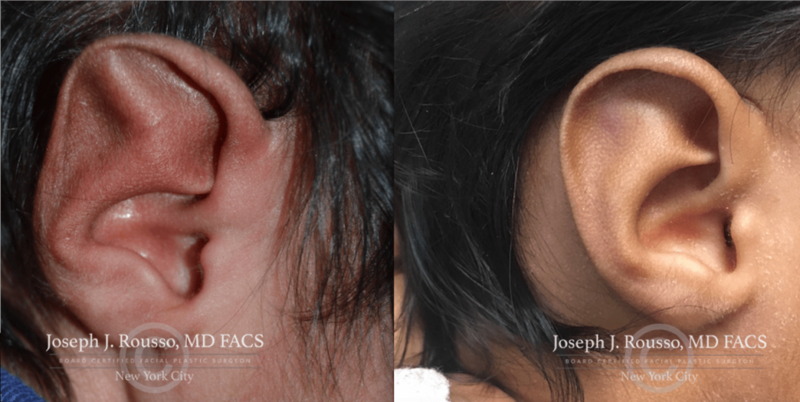 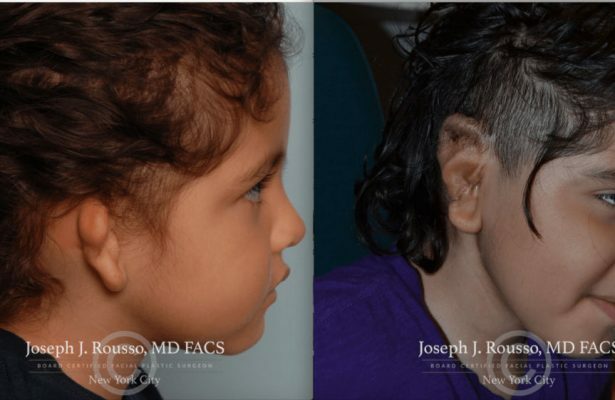 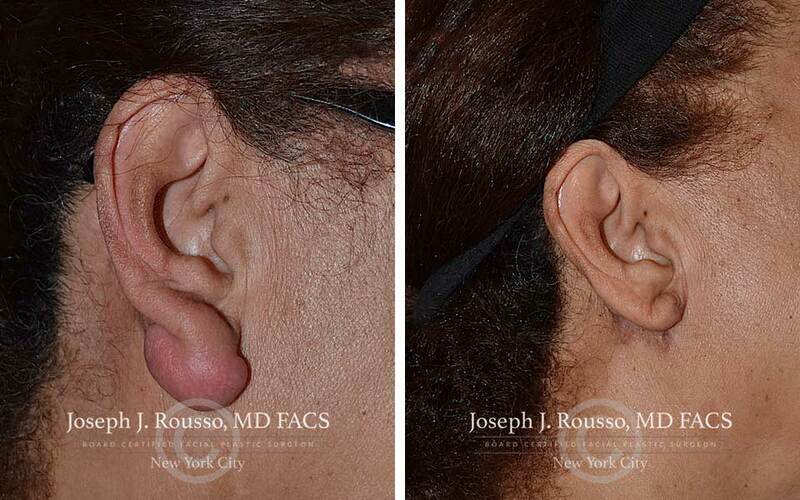 2 months after ear molding with the Earwell system to correct severe bilateral Stahl’s ear deformity. 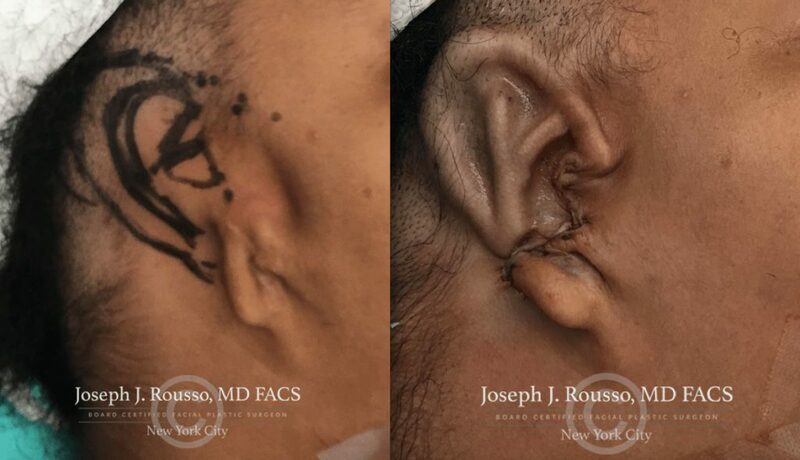 After surgery to correct Cryptotia (buried cartilage). 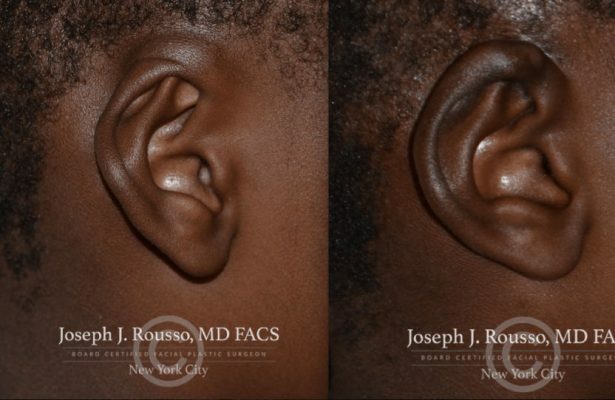 The full ear can now be seen. 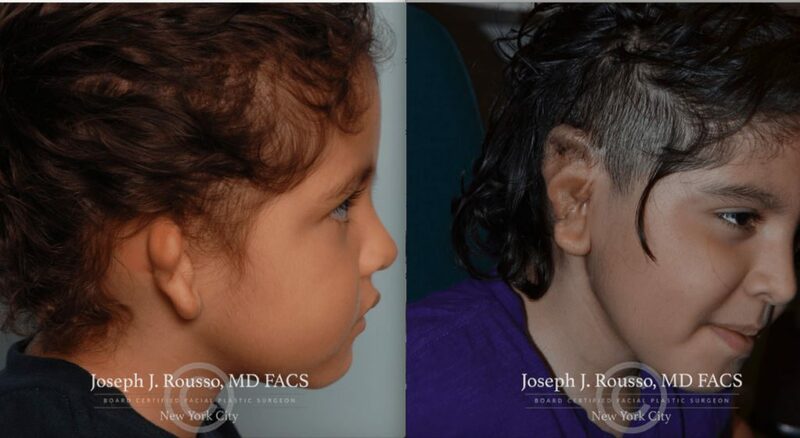 Otoplasty (ear pinning) for correction of severe lop ear deformity on young girl.